For the past few months, Veridian and Whitby Hydro have been working diligently on a new merger that could see the two utilities consolidate to drive greater efficiencies for their customers. 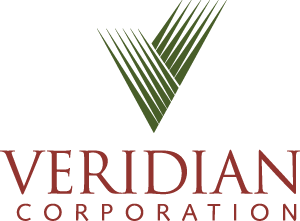 "This merger has potential to deliver significant benefits for both our customers and shareholders," said Michael Angemeer, President and CEO of Veridian Corporation. "If it proceeds, we expect that it would provide greater efficiencies, maintenance of local ownership, diversification, and protection from potential rate increases in the future. Angemeer added that the core values underscoring the potential merger are greater benefits to customers at lower costs, and enhanced long-term value for our respective municipal shareholders, including the municipalities of Ajax, Belleville, Clarington, Pickering and Whitby. "Above all else, this merger is driven by one key element and that is to demonstrate benefit and savings to our shareholders and ratepayers," said John Sanderson, President and CEO of Whitby Hydro. "Without this, the merger cannot move ahead." Veridian and Whitby Hydro are also committed to ongoing public consultation and engagement that will include dedicated microsites and regular status updates to the communities they represent. "Ensuring all of our shareholders and customers play a part in this process is of critical importance," said Sanderson. "We want to allocate time and resources to ensuring the value propositions of this merger are communicated and considered by the individuals that we serve." Both companies have launched their respective microsites where information about the merger is available including the fully executed MOU. "We ask for our customers' patience as we continue to gather all the information that you need to know," said Angemeer. "As soon as more information is available, we will update the microsite accordingly to ensure your questions are answered. We are fully committed to utilizing our microsites as a channel to get you new information as quickly as we can." If the merger review process confirms that a merger would provide benefits to customers and shareholders, subject to the required approval of the municipal councils following a public report, the parties will endeavour to enter into a merger agreement by no later than December 31, 2017 and to complete the transaction by July 1, 2018. "We are looking forward to the next step in this process and to our ongoing consultation with our communities," said Angemeer. "We set out to deliver benefits to all of our customers and shareholders and we remain wholly committed to delivering that result at the end of this process." Whitby Hydro Energy Corporation is a holding company owned by The Town of Whitby. Contained within are two separate and distinct subsidiaries - Whitby Hydro Electric Corporation and Whitby Hydro Energy Services. Whitby Hydro Electric Corporation is an electricity distributor licensed by the Ontario Energy Board (OEB) to deliver electricity to homes and businesses in our service area of the Whitby, Brooklin and Ashburn communities. Our organization serves more than 41,500 customers.